Educational and Consulting Resource-One (ECR-One) is a non-profit (501) (C) (3) organization headquartered in Maplewood, New Jersey. The mission of ECR-One is to help our youth understand and realize how education, world economics, and social policies can influence their ability to achieve Economic Empowerment. ECR-One provides mentoring, workshops, and training programs to educational institutions, communities, and corporate organizations that require our grass-roots approach for providing information to our youth. ECR-One collaborates with business professionals and corporations, who are willing to share their invaluable insight and resources on how the economic globe business world, will impact their future educational and career objectives. ECR-One seeks to implement programs to help our youth in communities anywhere, to understand and realize how education, world economics, and social policies can influence their ability to achieve Economic Empowerment. ECR-One is also committed to offering mentoring, workshops, and training programs to educational institutions, communities, and corporate organizations that support our grass-roots approach for providing information to our youth. ECR-One collaborates with business professionals and corporations, who are willing to share their life and companies experiences and influences for their own Economic Empowerment. Their willingness to share with our youth provides invaluable information and resources that may not be available at home or at school. 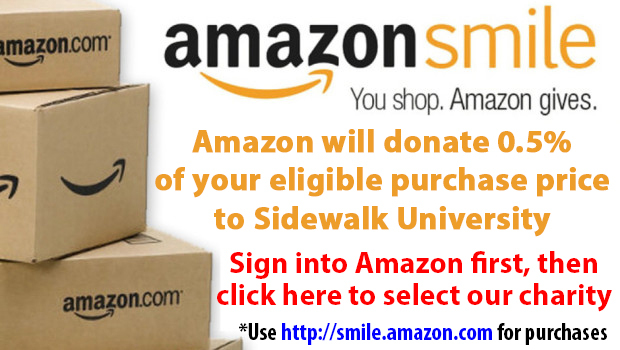 ECR-One is a subsidiary of Sidewalk University a non-profit 501(C) (3) organization headquartered in Jersey City, New Jersey, which is committed to helping youngsters in urban and under-served areas to become leaders in their communities. We carry out this mission through a variety of means, including an assortment of educational and cultural programs that seek to expand the horizon of young people and give them the skills sets they need to lead successful and productive lives. The mission of ECR-One is to help our youth understand and realize how education, world economics, and social policies can influence their ability to achieve Economic Empowerment. ECR-One provides mentoring, workshops, and training programs to educational institutions, communities, and corporate organizations that require our grass-roots approach for providing information to our youth. Establish a strong network of support with the school systems and the juvenile court system. Establish an effective training program for mentors that will increase their ability to be successful communicators. Youth who are motivated to learn and understand how education, world economics, and social policies can influence their ability to achieve economic empowerment. Families are also the marketing focus when adult mentors are able to help youth work on solutions for realizing how education can influence their lives, families get involved as well.